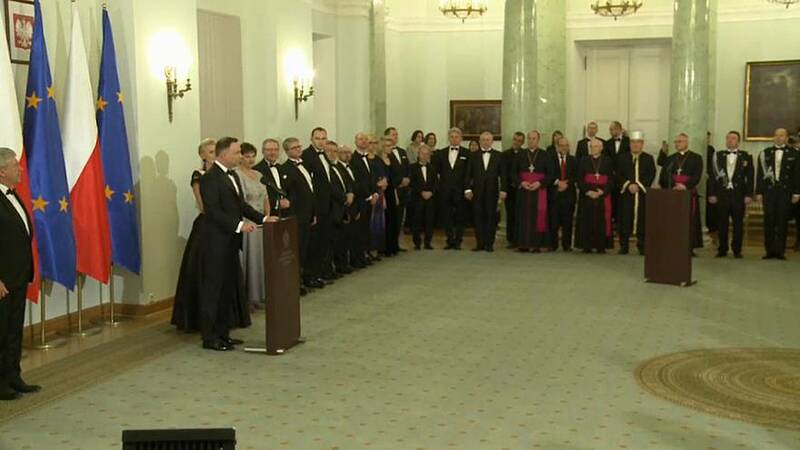 Poland says the EU is responsible for "social disillusionment"
Poland's president says that the EU is partly to blame for what he called "social disillusionment"
Andrzej Duda was speaking at a New Year reception for foreign ambassadors held at the presidential palace in Warsaw. "European Union institutions should take their share of responsibility for this social disillusionment with the integration and should analyse the mistakes made. It is the task of EU institutions (to build) a harmonious European policy, but not to stigmatise, divide and antagonise European nations." Poland has found itself at odds with the EU recently. On Tuesday European Commission chief Jean- Claude Junker met the Polish Prime Minister Mateusz Morawiecki in Brussels as part of an attempt to head-off possible EU sanctions against the nation.